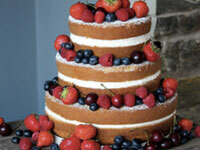 Tailored, unforgettable, delicious cake - from our award winning studio. 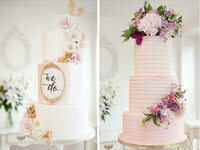 Your relationship is one-of-a-kind… your wedding cake should be too. From first consultation to first bite, we’ll deliver a tailored, unforgettable cake that deliciously reflects your unique story. Here at Sweet Temptations my mission is very simple. I aim to make you the best cake, from the best ingredients. Everything I make I make myself. I want to give you your dream cake, without a nightmare price. I price according to the design, not the occasion. I will work with you to design the cake exactly as you’d like it. Don’t be afraid to throw any ideas my way, you’d be amazed what can be made out of sugar! 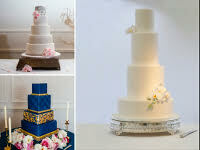 From classic elegance to the latest in contemporary design, we specialise in custom-made wedding cakes. 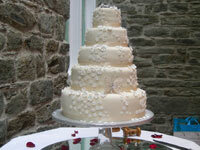 All Zeenees cakes are handmade in mid-Devon by experienced baker Liam and designed around you and your wedding day. From discussing flavours, colours and styles in one of our regular consultations, to working with your florist, we go the extra mile to deliver a cake you’ll love. We’re known for our flavour combinations and use of quality ingredients to create beautiful centrepiece cakes. As well as traditional fondant-iced wedding cakes we also provide naked and semi-naked cakes, wedding cupcakes and wedding dessert tables. 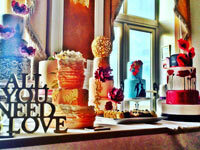 Bespoke cakes that are innovative, individual, inspirational, romantic, indulgent and simply delicious! Lindy is an artist who creates dream cakes. Call today for your free consultation. Why buy off the shelf when you can for a similar fee have your cake and eat it!